This video demonstrates the massive benefits of using an external interface with solid preamps over the cheap built in preamp that you find in a USB plug and play microphone. 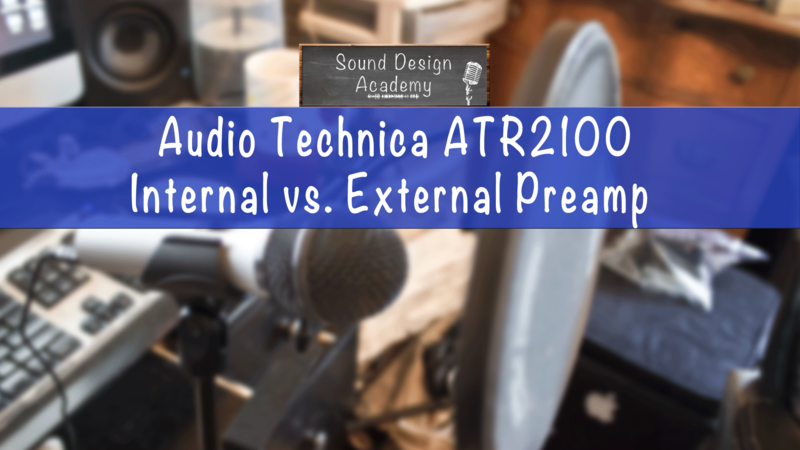 In this case, the microphone happens to have both a USB connection and an XLR jack, so I went ahead and used the exact same microphone — an ATR2100 — to let you hear the difference a preamp can make. If you loved this video please feel free to spread it around to those you care about. Also, if you haven’t subscribed to the Newsletter, be sure to. You get 18 royalty free music tracks which is a big ol’ bucket o’ awesome! Sound Design Academy is a gathering of resources, conversations, and guides. Creative fields are often scary when you first start out, but everybody goes through it. We’re all here for one another celebrating successes, failures, and lending a helping hand where we can. Be sure to subscribe to the podcast, check out the blog, and get in touch if you have any questions.